This Sunday, the 89th Academy Awards ceremony will take place. Here are some of my favorite Oscar nominations and who I think will bring home an award this year. “La La Land,” which I bet many of you have already seen in the movie theatre, is definitely one of the biggest Oscar-nominated movies. The movie, both a musical and a romantic drama, has received 14 nominations, which equals the nominations of 1997’s “Titanic” and 1950’s “All About Eve.” It is a movie about two lovers in Los Angeles trying to maintain their relationship while being successful in their own careers. There are also two frontrunner movies among the list, “Manchester by the Sea” and “Moonlight.” The drama film “Moonlight” looks like it might win the award for Best Actor in a Supporting Role and Writing (Adapted Screenplay). “Manchester by the Sea,” which is another drama, may win Writing (Original Screenplay) and lead actor Casey Affleck might take home the Best Actor in a Leading Role. The 2017 Oscars are this Sunday and here’s who might taken home the big awards. PHOTO VIA FLICKR USER PRAVITNO. For the Best Actress in a Leading Role, the award looks like it will go to Isabelle Huppert in “Elle.” The drama film “Hidden Figures,” about a group of women who calculated important equations for NASA, is “La La Land’s” major competitor for overall Best Picture. The Best Sound Mixing award will probably go to “Hacksaw Ridge,” a war drama, because of its intensive soundtrack. In the Costume Design category, it looks like it’ll go to the 2016 British comedy-drama “Florence Foster Jenkins” for its extravagant costumes. 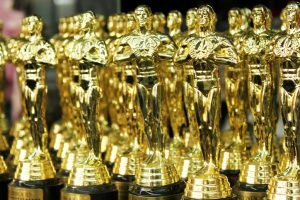 No matter who you want to take home a prestigious Academy Award this Sunday, it is sure to be a historic night for the movie industry. Really appreciate ZiRui Liu’s article! Beautifully written and thoughtful predictions. I hope Lala land wins the best picture!